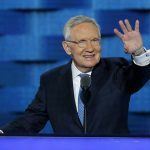 Former US Senator Harry Reid (D) is heading back to the classroom, as the longtime Nevada congressman who represented Las Vegas’ interests in Washington, DC, has agreed to become the UNLV William S. Boyd School of Law’s first Distinguished Fellow in Law and Policy. 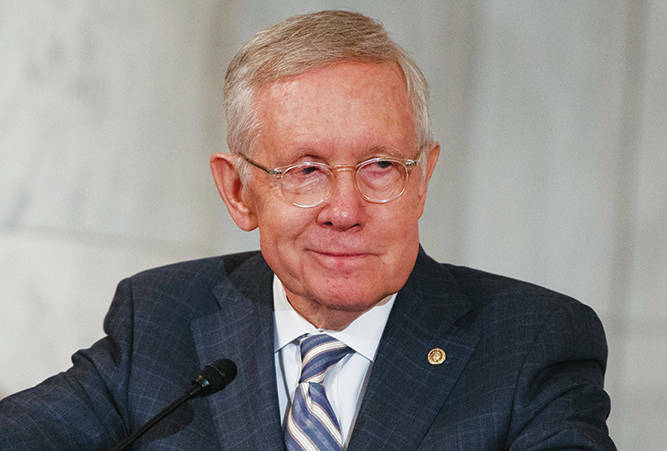 Throughout his 30-year tenure in the US Senate, Reid served not only Nevadans, but the interests of the casinos located in his home state. A lifelong resident of the Silver State, the democrat served as chairman of the Nevada Gaming Commission prior to his election to the US House of Representatives in 1983. For decades, Reid was the point man in Washington, DC for casino operators across the country. He’s even recently been suggested as the new potential name for Las Vegas’ McCarran International Airport, a measure backed by Democratic State Senator Tick Segerblom (and not without its detractors). In his new role, Reid will be sharing his congressional and legal wisdom to Boyd Law students and alumni. “This is an unprecedented opportunity for Boyd School of Law students to interact with and learn from one of the most prominent lawyers and policymakers in the history of Nevada,” UNLV Law School Dean Daniel Hamilton said in a press release. Reid will lecture in classes and pursue writing projects “drawing on the resources” of the law school’s library. In addition, the Searchlight native will co-chair the recently formed MGM Resorts Public Policy Institute at UNLV. Along with former US House Speaker John Boehner (R-Ohio), Reid will lead the new institute, which is being billed as a “think thank.” The goal of the initiative, according to UNLV, will be to “seek bipartisan solutions on a range of economic, social, political, and workplace issues” that impact travel, tourism, hospitality, and gaming. Funded by MGM Resorts, Nevada’s largest gaming operator, CEO Jim Murren says the company’s involvement in the institute is to strengthen its voice on public policies that impact casino markets. “I’m excited about the possibilities the Institute offers to proactively explore issues and develop bipartisan policy solutions, especially on topics that matter to our workforce, our communities and the industries in which we play a leading role,” Murren stated. Reid’s retiring from Congress left a big vacancy for the casino industry in the US Capitol. 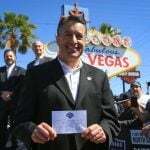 Not only was he a steadfast advocate for gaming and entertainment entities in Nevada, but Reid was also one of the most powerful lawmakers in DC. “We’ve had a gift in Harry Reid,” Caesars Executive VP of Government Relations Jan Jones Blackhurst said last fall after his retirement announcement. Blackhurst served as the mayor of Las Vegas between 1991 and 1999. “All of us are acutely aware that the strong voice we always had representing the industry in Washington will be diminished,” Blackhurst concluded. 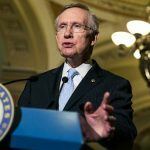 But this week’s revelation that Reid isn’t entirely stepping away from politics, or at least policy matters, is certainly welcomed news to the gaming industries. Of course, gambling, at least theoretically, gained a powerful ally when then-candidate Donald Trump won the 2016 presidential election. 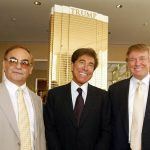 With the White House now occupied by a former casino owner, legislation that would restrict gaming on the federal level would seem to come with lower odds of being signed in the Oval Office.